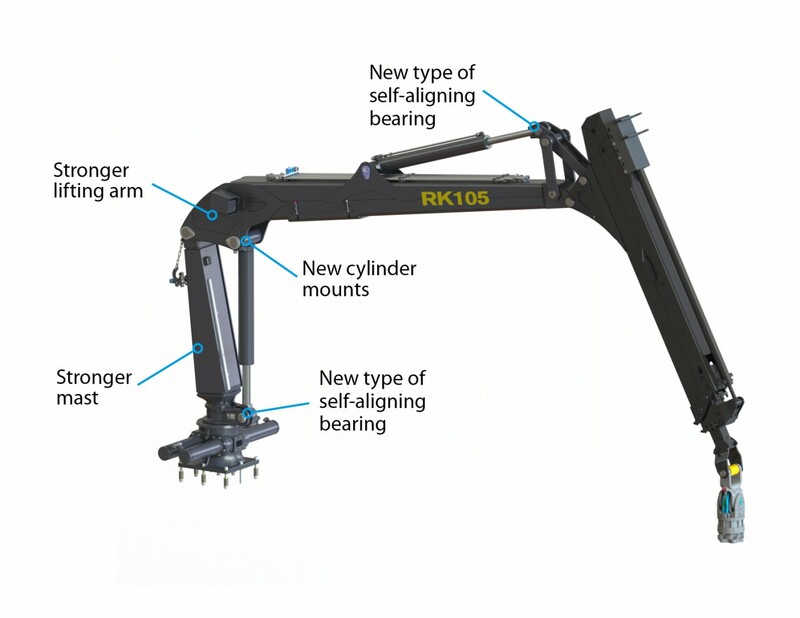 Rottne proudly presents RK 105 – a genuine innovation on the crane side for the forwarders Rottne F10 and Rottne F11. 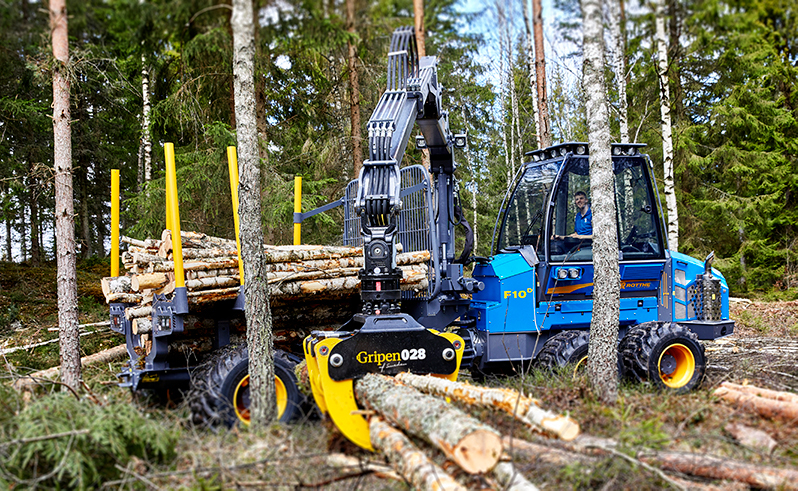 “It is a crane with significant differences compared to its predecessor RK 85,” says Filip Wirbladh, designer at Rottne Industri. The new jib arm crane for Rottne F10 and Rottne F11 offers 20 per cent more lifting force than its predecessor. Behind the idea of the new knuckle boom crane for Rottne’s forwarders F10D and F11D which, among others, was developed based on a desire of a stronger crane, lies an innovative and well-thought-out strategy that has resulted in a completely new and improved product. “The three main parts that have been redesigned compared with the old crane are: the mast, the lift cylinder and lifting arm. In brief, it is a completely new crane with increased strength. Above all, it is different approach to the assembly process,” says Filip. The new crane is reinforced in order to give greater lifting force. The development work at the factory in Rottne has resulted in RK 105 having a lifting torque of 105 kNm (kilonewton meter). This is compared to approximately 87 kNm on the earlier model. The lifting angle has also been increased by about five degrees. “We worked hard to reduce the stresses in the welds and have improved the lifting force with a full 20 per cent,” says Filip. The new RK 105 will be mounted as the standard crane on all F10D and F11D models delivered to customers from Rottne’s factory around the turn of the year 2017/2018 and onward.